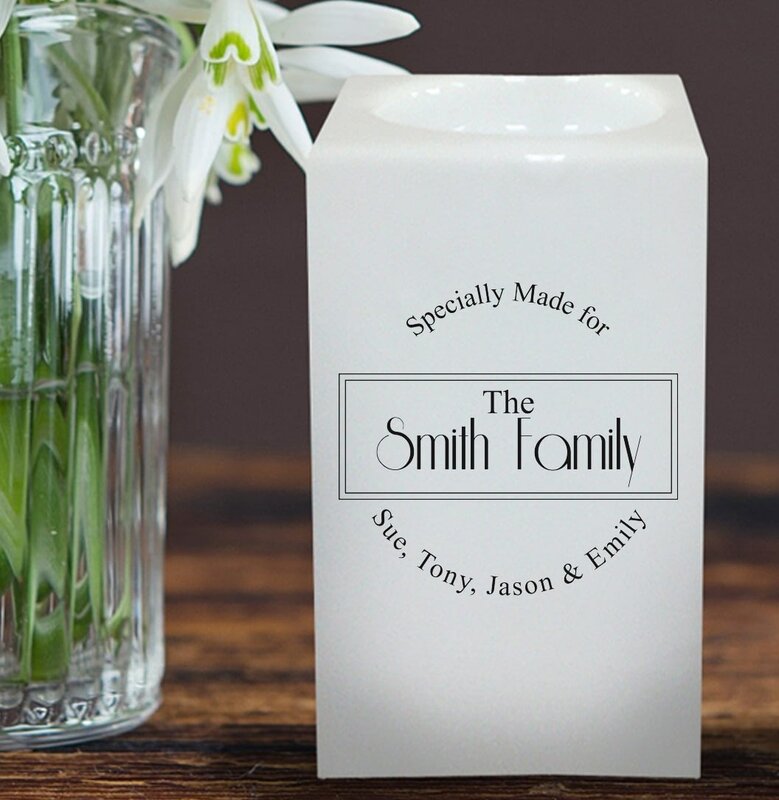 A chic and simple black and white design runs across this beautifully made ceramic tea light holder, which we personalise by adding a family name of your choice and your message. 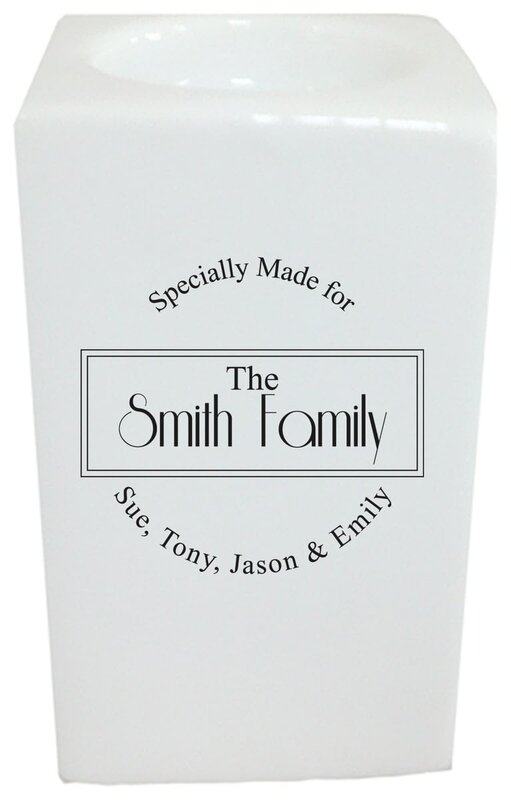 Each family member's name appears within the design, with the family name taking pride of place, with your message incorporated onto one side of the holder. With other matching crockery also available this specially made set would make the perfect housewarming gift or a bespoke set for a newlywed couple.